The SP Jain IT Management Conclave will focus on ‘Leadership and Governance in the Digital Age: Building Successful Digital Enterprises’. The Singapore Computer Society (SCS) is the leading infocomm and digital media professional society in Singapore. Established in 1967, the Society has a thriving membership base of over 32,000 members today. It has a total of 15 specialist groups that promote mind-sharing of case studies, experiences and latest trends and emerging technologies. The Society continues to work hard to establish a strong reputation as the voice of Singapore’s infocomm and digital media community. TiE Singapore is a vibrant eco-system of Asian entrepreneurs, angel investors, venture capitalists and industry professionals. It is a non-profit that inspires entrepreneurs through its training, mentoring and networking programs. TiE was initially conceptualised in the Silicon Valley in 1992. Today, it is a strong global network with over 60 chapters in 17 countries and over 10,000 members. SP Jain School of Global Management (SP Jain) is an Australian technology-led business school with campuses in Dubai, Singapore, Sydney and Mumbai. In less than 14 years, SP Jain has gained recognition in reputed publications. Our programs have been ranked by Forbes, The Economist and the Financial Times, just to name a few. Globally intelligent and culturally agile, the SP Jain student can adapt to new situations with ease and finesse and is more than ready to take on the global challenges of the 21st century. 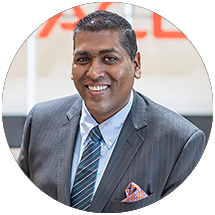 Having joined Oracle in 2007, Cherian Varghese currently serves as the Regional Managing Director and Vice President for ASEAN. In this role, Cherian leads Oracle’s technology business across the region, helping drive revenue growth and ensuring client satisfaction. With more than 24 years of experience in the ICT industry, Cherian has led various divisions within Oracle globally, where he played a pivotal role in helping organisations achieve strategic growth objectives with Oracle technology solutions. Cherian has also held many leadership roles across key IT companies including Veritas and IBM. Newson Ng has consistently been involved in driving Digital Transformation through Cloud, Data, AI, Blockchain and Modern Workspace for enterprise customers over the years. 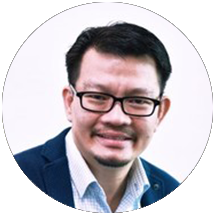 With 19 years of IT experience in solution sales and delivery of Microsoft–based solutions for enterprise customers, within Singapore and the region, he has deep expertise in cloud and data analytics solutions and architectures. Newson is also providing advice to CxOs, Government and senior level technology decision makers in areas of business vision, business value and technology roadmap. His current areas of interest are Data Warehousing, Big Data, Business Intelligence, Blockchain, Collaboration Technology, Modern Workspace and Mobility Solutions. 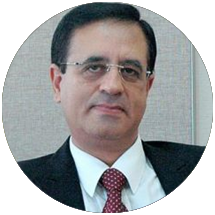 Dr Karippur Nanda Kumar has over 30 years of experience as a leader and scholar-practitioner in the ICT industry. He was involved in developing several national ICT Master plans over two decades in Singapore and rolled out several national collaborative initiatives successfully for ICT talent development in partnership with leading industry players, associations and Institutes of Higher Learning. 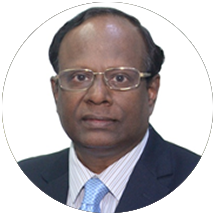 Dr Kumar is a Fellow of Singapore Computer Society and actively involved in applied research in areas such as ICT Policies, Change Management, Innovation and Digital Transformation. Laurence Smith helps CEOs and CHROs drive digital transformation from a culture and mindset perspective. He is an expert in helping leaders enable a ‘Digital Mindset’. Innovation Award winner at the World’s Best Digital Bank, Laurence launched the Digital Mindset Initiative and co-created the famous DBS Hackathon series; simultaneously, Laurence had a day job as Managing Director HR and Group Head of Learning and Talent Development at DBS Bank in Singapore. These days he splits his time between running SmartUp.io, the innovative micro-learning platform that enables large scale adoption of digital mindset by ‘making learning fun again’, and consulting. 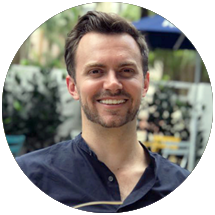 At Hmlet, Zenos Schmickrath is responsible for technology implementation, business expansion, hiring staff for key roles and day-to-day operations. He joined Microsoft at the age of 19 in the MSN Advertising Technology division where he worked for six and a half years. After leaving Microsoft, he took time to learn language and culture while living in Japan, China and Mexico. Zenos then ventured out on his own and founded several startup companies with a strong focus on internet technologies. Juliana Chua is the Head of Digital Transformation at NTUC Income. Juliana leads the program to digitise core businesses by the adoption of digital strategies, business models, operations, products, marketing approach and objectives. 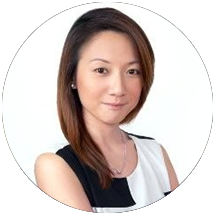 Prior to working at NTUC Income, Juliana was the Director (Strategic Partnerships) of the IP Office of Singapore (IPOS) International where she launched new products and services in US, China, Japan and Singapore markets. In her 15 years of career, Juliana has served the World No. 1 innovation leader – IBM UK, Asia’s leading IP law firm – Spruson & Ferguson, Singapore’s largest technology office – Exploit Technologies of A*STAR, Japan’s leading materials MNC – Nitto Denko and launched 2 startups into markets worldwide. 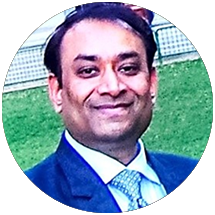 Dipesh Ranjan is a leader with 20 years of experience in delivering proven results in global business transformations, leading to measurable growth in revenue and profitability. Dipesh builds new businesses at the regional and global level, aligns partner organisations through shared vision and scales processes for improved time to market and ease of doing business. He is recognised as an expert in building channel strategies, incubating new regional businesses and partner programs, joint value proposition-based portfolio strategies and go-to-market models and programs, which enable the organisation’s strategic goals while driving customer success. 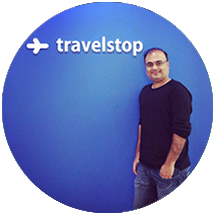 Prashant Kirtane is the Founder and CEO of Travelstop.com, a platform aimed at modernising and simplifying business travel. Prashant is a seasoned leader with 20 years of experience in senior management positions at Yahoo! and Expedia. He founded travelmob.com, which was acquired by Expedia in 2015. Jayesh Easwaramony leads the InMobi business in Asia Pacific, Middle East and Africa (APMEA). Prior to his current position in the company, he led business development for the Asia Pacific region for three years. Before InMobi, Jayesh worked with Frost and Sullivan as the leader of its TMT practice. 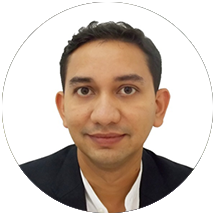 He has advised several large companies in the mobile and media space including Samsung, SKT, Axiata and Telkom. He is widely respected for his views on the ICT industry having provided several interviews to CNBC, BBC, Channel News Asia and leading publications. He has spoken at many conferences including GMIC, LTE Asia and Carrier Ethernet World. Prior to Frost and Sullivan, Jayesh worked with Newscorp in India to set up their pay TV business and other media investments, and with the prestigious Tata Group to enter the telecom business. He holds an MBA degree from Indian Institute of Management, Lucknow. 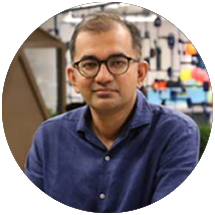 Avinav Trigunait is the Research Director at IDC, leading the Asia/Pacific Future of Work, AR/VR and mobility practices, based in Singapore. In this role, he provides strategic insights and advisory services to business leaders, C-level executives for their business transformation, technology investments and go-to-market strategies. He also manages the startups/innovator program at IDC Asia/Pacific. 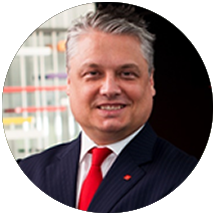 He has delivered several strategic engagements such as M&A advisory, digital transformation roadmap, new product launch, and data analytics and governance advisory for clients across Asia-Pacific, Europe and North America markets. Tasneen Padiath is Senior Director, Digital Partnerships with Visa. In this role, she manages partnerships and commercial engagements in the Asia-Pacific region with both global strategic partners and emerging digital players in the region. Her team is tasked to advance Visa’s Digital and Innovation Strategy by identifying, structuring, closing and managing major strategic partnerships, alliances and commercial deals – primarily with payment platforms (Wallets, Acquirers, Issuers) and emerging technologies (IoT, SoftPos, QR). 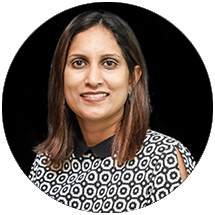 Prior to working at Visa, Tasneen served as Managing Director for CEB (a Gartner company) in Southeast Asia and head of the CEB Singapore office. She was responsible for the business performance of the CEB Leadership Councils and SHL Talent Measurement business in the region and led sales operations across Asia.